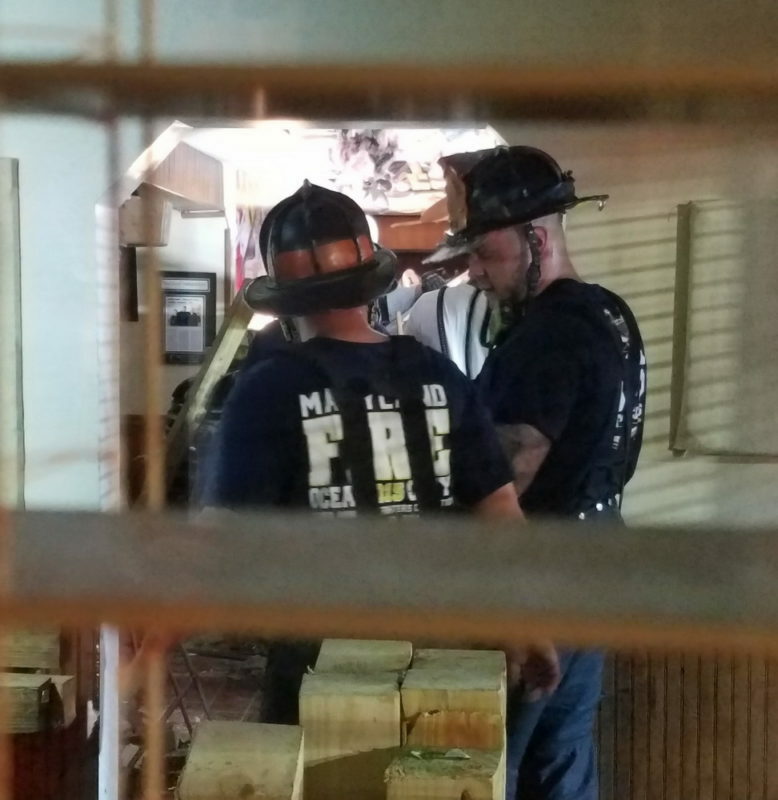 Official Press Release: At approximately 8:26 p.m., La Plata police officers and other rescue personnel responded to 6300 block of Crain Highway for the report of a vehicle into a building. Upon arrival officers located several injured individuals. 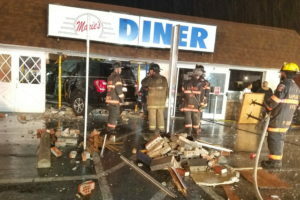 Three individuals inside of the restaurant were injured. A 17-year-old female employee and a 55-year-old patron were transported to Charles Regional Medical Center with non-life threatening injuries. 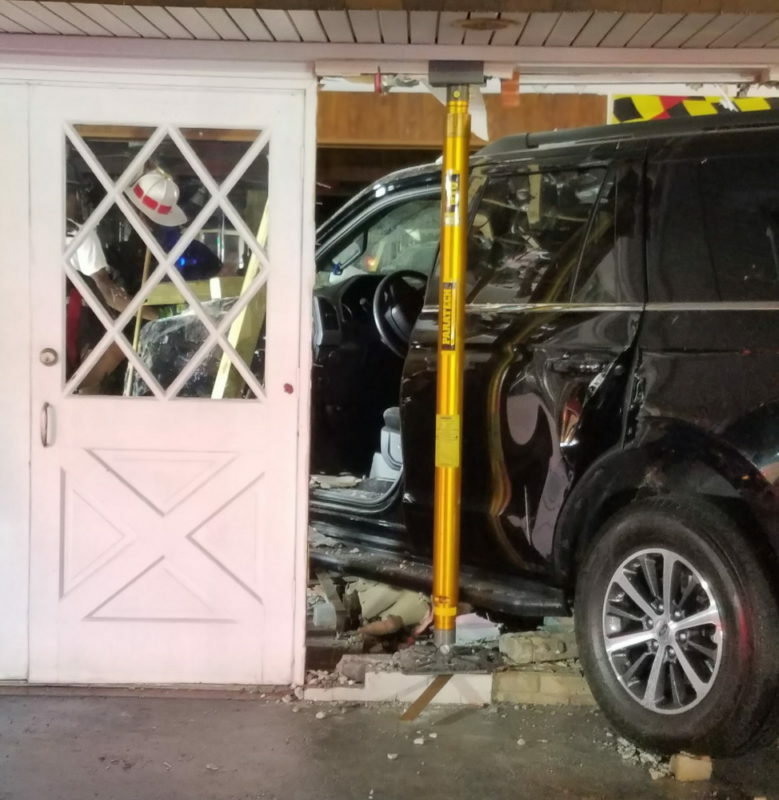 An 82-year-old patron was transported to Washington Hospital Center with possible serious, but non-life threatening injuries. The driver, a 67-year-old male from Waldorf, was transported to Charles Regional Medical Center with non-life threatening injuries. 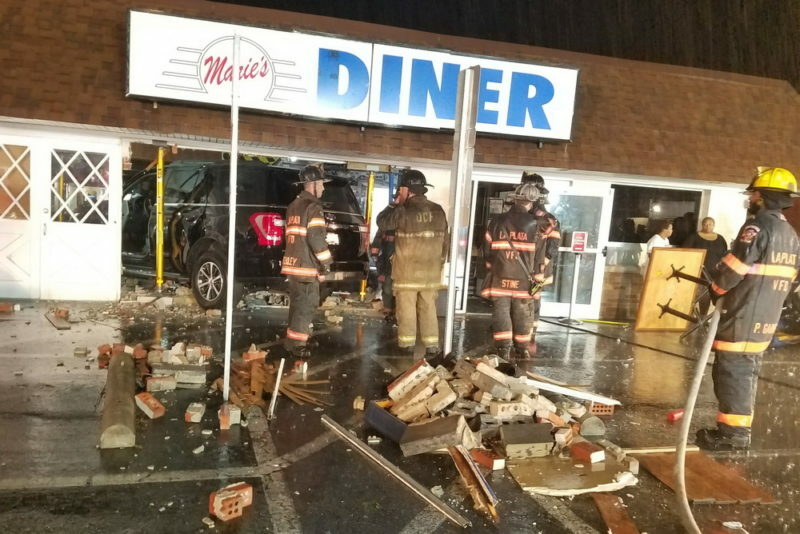 9/10/2018: On Monday, September 10, 2018, at approximately 8:30 p.m., police fire and rescue personnel responded to Marie’s Diner at 6325 Crain Highway, in La Plata, for the reported vehicle into the building. 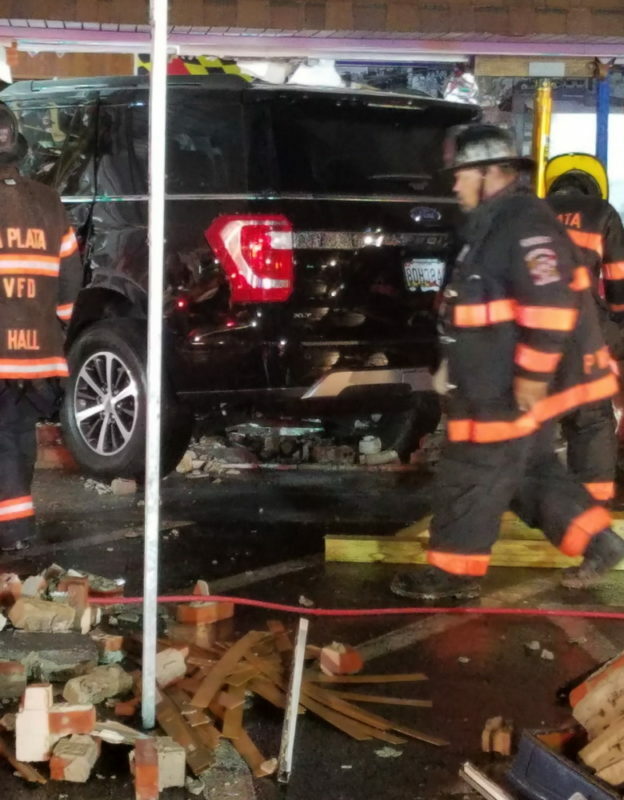 Crews arrived on scene to find a Ford SUV into the front of the building with one subject trapped in the vehicle, and two injured people inside. A helicopter was requested for one patient but were down due to weather. A 82 year-old patient was transported to an area trauma center by ambulance with serious injuries. This entry was posted on September 10, 2018 at 11:26 pm and is filed under All News, Charles News, County, Fire & Rescue, Law Enforcement, More News, z 600X120 Top Ad Bottom, z 600X120 Top Ad Top. You can follow any responses to this entry through the RSS 2.0 feed. Probably another case of “mistaken pedal.” On a serious note, I’ve wondered if some of these businesses should have bollards in place, especially when there is very little standoff distance between the establishment and a high traffic area. I hope that everyone is doing fine. Yea right. Id like to see you say that to the injured people. Stupid comment. You are in the minority, most of us locals and many non-locals love Maries. Something horrible just happened and people were hurt yet all you can do is bad mouth them, good job. Hey CHARLES WHY DON’T YOU DO EVERYONE A FAVOR AND STFU ! It’s ignorant a$$ people like you that should never speak ! With this communities help this establishment will come back stronger than ever ! Prayers for all involved ! Charles, that remark is uncalled for. Doesn’t mean you’re not an idiot sitting behind a keyboard. Hey Charles, was that comment really necessary? keyboard warrior. His life isn’t great. Real intelligent comment. Instead of typing your comment, say it to the victims and their families. Don’t like the restaurant, fine. Post a review somewhere else. Many people feel otherwise. Marie’s is usually quite busy. Hope all will be ok. I love Marie’s, the food, the people and being in La Plata. Hope everything will be back in place soon and everyone ok.
Charles go to McDonald’s. Marie’s Dinner is a great restaurant for our small town La Plata. No one appreciates your negativity. Sonic could use your business . Now thats funny. A troll telling others to get a life. Not really funny, but there it is. FYI – sorry I couldn’t respond to the troll earlier. I have a life beyond my keyboard. Unlike the troll. Prayers! For the Sonics of La Plata. 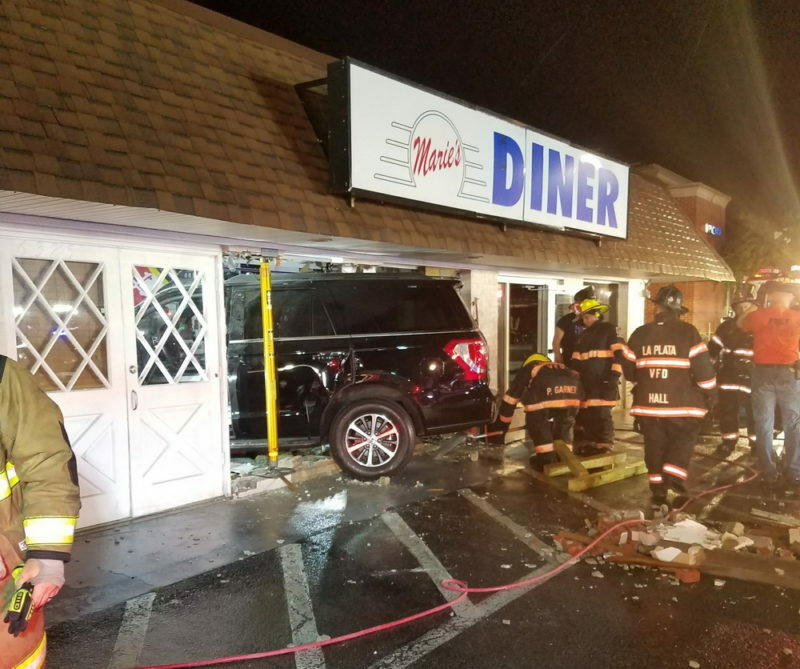 Marie’s Diner was named the best “Hole in the Wall” diner for Maryland. Just try the Chef’s salad or any breakfast and you will agree. Hopefully they can rebuild and make it a little larger. Love the food!